Leila understands from early on that she is not part of normal Sudanese society. Her parents are unable to care for her, so she is banished to a strict orphanage, along with children born outside marriage. 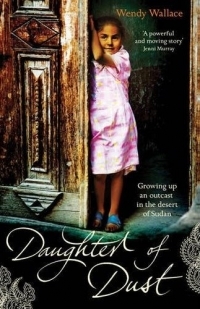 At school, Leila and her best friend Amal are called ‘daughters of sin’. Her pretty sister, Zulima, is married off to a much older man, while the nannies say an abandoned girl is lucky to get an offer of marriage at all. At the age of ten, both Leila and Amal endure female circumcision. Suffering appalling prejudice, and thought to bring the ‘evil eye’, Leila remains outgoing and brave and manages to get an education. She goes on to marry, have four children, and divorce, yet even grown up she continues to know the stigma of being abandoned. Undaunted, Leila founds her own charity to help those shunned as outcasts. Yet her charity work makes her vulnerable in the ultra-conservative Islamic society of Sudan, but she continues to work tirelessly to dispel prejudice. This beautifully written, graceful memoir perfectly evokes the heat and colour of the North African desert and tells of the true friendships that are born out of adversity. Wallace has spent years in Sudan; she also has a nice feel for the telling detail... In Leila, Wallace has found an excellent centrepiece around which to arrange a discussion of the wider issues: the trials of exclusion from a deeply traditional society, the tensions between progressive and reactionary political forces and the cruelty, particularly of women to one another, in a misogynistic world... a refreshing glimpse into a country often reported on, but rarely truly explored. Leila is a likeable, feisty character whose fighting spirit is both endearing and admirable - you desperately want her to overcome the lows that life throws at her, and she doesn't let you down.